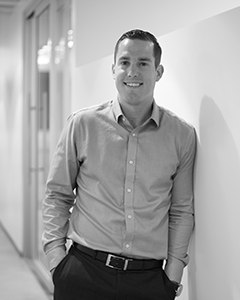 Kyle Suryan, serving as Vice President, oversees all retail and hospitality efforts for Lyon Living. Additionally, Kyle works closely with the Asset Management team to review acquisition opportunities as well as evaluate disposition strategies for Lyon’s existing portfolio. Prior to joining Lyon, Kyle worked as Vice President for ARA in their Northern California office. While at ARA, Kyle was involved in the sale of over $2 billion in multifamily assets. He specialized in the sale of large institutional multifamily assets as well as land for development of new multifamily projects and his geographic market expertise comprised of the Bay Area, Sacramento and the Central Valley markets. Kyle received a Bachelor of Science in Business Administration with an emphasis in Accounting and Finance from the University of Southern California, and has earned an MBA in Real Estate and Finance from the University of San Francisco. He is a member of the Urban Land Institute (ULI) and is a licensed Real Estate Salesperson (CA BRE #01924167) in the state of California.